As of 2017, you are the world recorder holder in a women-only marathon, having won the 2017 London Marathon with a time of 2:17:01. How do you feel about being the first of a kind to set a benchmark and to be able to inspire so many like you? I was also inspired by Paula Radcliffe when she ran the World Record only women as well as the World record in a mixed race with men pacers. 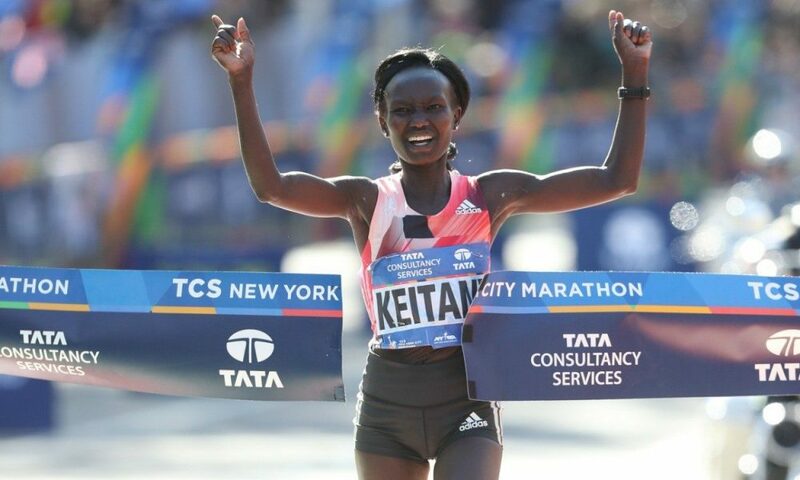 I know the record are there to be beaten and maybe very soon my WR will go because there are so many talented young girls in Kenya and Ethiopia. In any case I’m very proud to be the owner of the World Record at the moment. Introduce us to a day in the life of an athlete, preparing for a Marathon. It is a very committed day. Wake up early in the morning (5.00 or 5.30 am) and start with the first training at around 6.30 am depending which is the kind of training. Back home, shower, some Kenyan tea and relax. Lunch and some small sleep if the children are at school and in the evening at 5pm another training. Two or 3 times a week I go to see the physiotherapist for massage and Tecar therapy. Honestly there is nothing secret in my training. I train hard 2 times a week with some middle or long workout and every 3 weeks a long distance training of 35 km or 38 km. The work out can be on the track (10 times 1000m or 6 times 2000m) or also some fartlek outside the track. No I don’t have a special diet but I like the Kenyan food like chapatti or ugali with chicken or some meat with vegetables and the fruits of Kenya. I normally drink water or soda or Kenyan Tea (tea with milk).